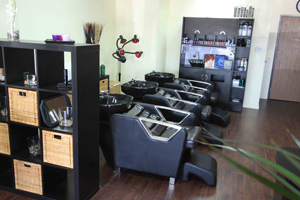 40% OFF at Beguile Beauty Salon, a Paul Mitchell hair salon in Orange, CA specialized in: Precision Haircutting, Artistic Color and Highlighting, Corrective Color, Hair Treatments, Permanent Wave, Blow Dry and Style, Up-Dos for Weddings, Brazilian Blowouts, Natural Nail services. We are dedicated to your satisfaction. We will listen to you and will work with you. We will not give up until we achieve the hairstyle that looks best on you. 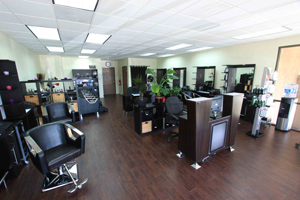 We offer to you warm and inviting environment in a new, modern and elegant high end hair salon in Orange County, CA. 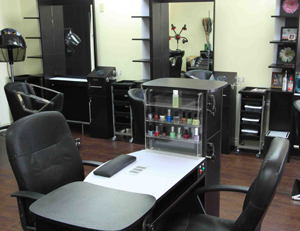 Beguile Beauty Salon is located in The Brickyard Shopping Center, with ample parking, overlooking EisenhowerPark and lake. This is Northwest corner of Lincoln and Tustin Avenues immediately off 91 and 55 freeway interchange.